The Harvest of the Month in the Classroom Program is kicking off the 2015-16 school year! This school year ushers in the 3rd year of the program in San Diego County. Harvest of the Month is implemented in 12 school districts throughout San Diego County, reaching over 50,000 students. The sought after Harvest if the Month in the Classroom program is offered to a select number of schools within the 12 districts. The curriculum-based Classroom Program is now being implemented in 4 school districts within 8 schools, and reaching over 4,000 students. We are especially pleased to be working with Santee School District, our newest district addition to the classroom program. The practice-based strategy for this school year includes a newly developed teacher training curriculum and a multitude of educator resources to increase self-efficacy in lesson implementation. In development are web-based teacher training modules, which will be used as refresher courses for teachers and substitutes. The modules will include instruction on conducting a taste test, engaging students with the workbook activities, utilizing the Educator Newsletters, and an overview of all HOTM teacher resources. Family Newsletter booklets have been developed for students to bring home to their families. The intention is to make the classroom-community connection by keeping parents informed of the monthly produce their child is eating and learning about as well as how to buy, store, and prepare that same item at home. Parent engagement has also been taking place via HOTM before school promotions at school sites. 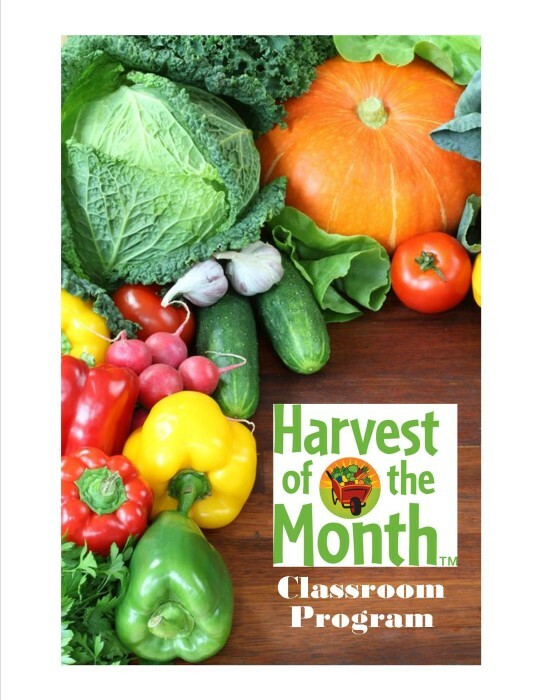 Students, parents, and teachers alike are excited about the 2015-16 Harvest of the Month Classroom Program and we at the Center for Community Health School Wellness Program are too!